Quite X Visuals are visuals created in collaboration with my cosmic brother, Frank Dilan. A creative duo only the Universe could have conspired, every piece of work is uniquely intriguing and far different from the last. The wildest imagery stems from these collective concepts, we can only advise one to sit back and tune in. Enter the sacred realm of the ' Thailand' collection, a jewelry creation hand designed by Christie Chafoya. This collection is the living, breathing essence of Thailand, from the intimate prayer beads found in bracelets to the statement ancient beads swinging in hoop earrings. Bright, perfectly complex, symbolically connected with Nature. Through meditation, each piece was created with pure love and attention. Hand braided, carefully wired, and instinctively picked to create a feeling only Thailand can ignite. 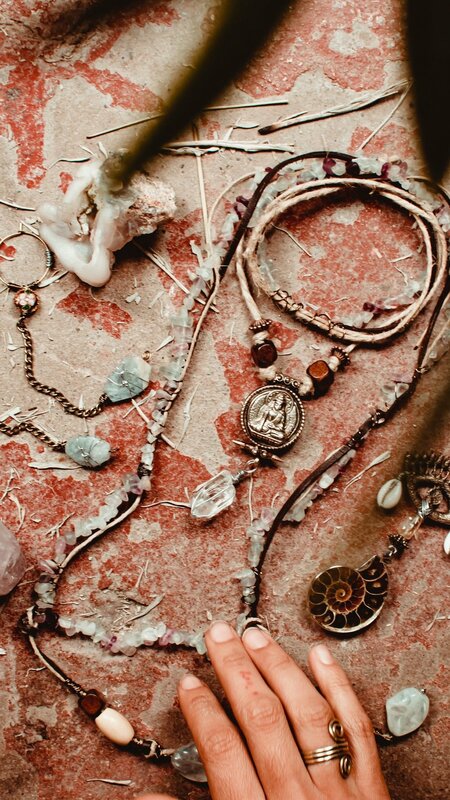 Each piece carries a zen energy, and intention with blessings from sacred experiences. All materials are collected, gifted, and ethically purchased from local and international sellers, as well as handpicked treasures only Mother Nature could gift. Consciousness is in everything. Wear what you are, a divine presence.